To me, a red lip is as crucial an element to Christmas as the obligatory jumper or the presents under the tree. It just screams Christmas glamour, and it’s a perfect little way to make everything look and feel a bit more glamourous really quickly. At the moment, I’m cycling between three different red lip favourites – they are all matte because matte lips to me will always be a winner. First up is an ultimate classic – ruby woo. Really drying, yes, but undeniably glamorous and the powdery finish is just perfect. MAC lipsticks are almost like a security blanket to me – when in doubt, I always go back to them because they were my gateway into a makeup addiction. I really like the ease of the NARS velvet matte lip pencils – they just make it so easy to draw a neat and precise line, and the formula is incredible. I really like Mysterious Red; a red lip at its finest. I couldn’t not include a liquid lip – my favourite red one has got to be Fiery from Stila. A little bit warmer than the others, this one nicely brightens everything and the formula is dreamy – long-lasting and non-drying. 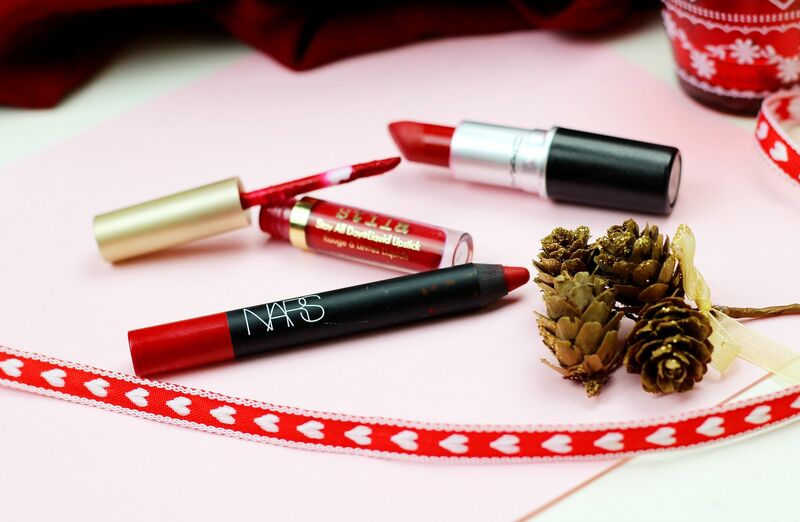 Do you have any red lip favourites?